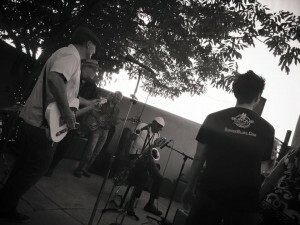 There are many opportunities to learn and dance to Blues in New Mexico. From social dances to live Blues, we will keep you covered. Our Blues dance community is friendly and inclusive, so come out and join us! No dance experience or partners necessary! Not sure what Blues dancing is? Check out our description here, and join us! Our dance has changed! After 4.5 years of hosting a weekly dance, we have now moved to monthly! 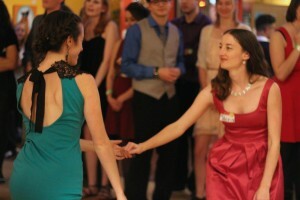 The monthly dances are special mini-events, so be sure to set aside dates and join us! We had our first monthly dance on November 10th which was a fundraiser for Puerto Rico where we raised $1,500 to bring clean water to families. Join us on December 15th for our 3rd Blues Winter Charity Ball! 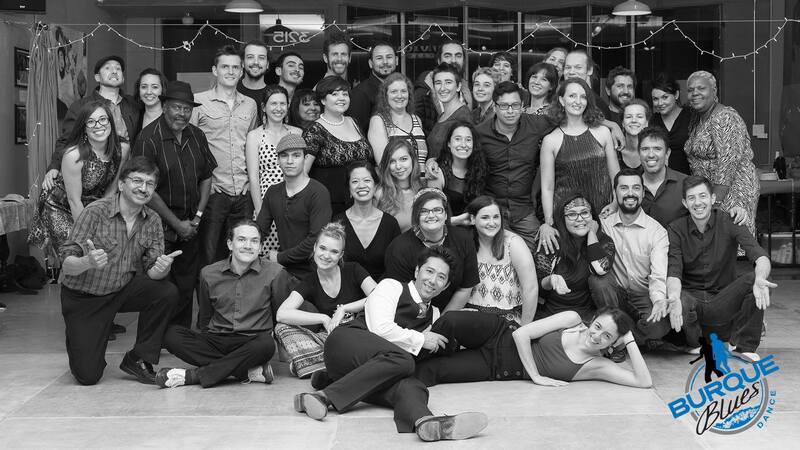 Our main dance is every Friday at Maple Street Dance Space (map). We have a weekly lesson that is geared for all levels and highly recommend attending our classes. It is a great way to learn about Blues dance and a wonderful opportunity to meet new people. No dance experience or partners necessary! Every First Friday of the month is a special Birthday Blues night! Birthday babies of that month get in FREE along with a guest! All you have to do is like our Facebook page! We also have volunteer opportunities to get in free, along with bringing food to share. Contact us for more information if you’d like to take advantage of this. There is a live Blues jam run by Darin of the Memphis P-Tails from about 8 p.m. to 11 p.m. at Monte Vista Fire Station (map). Note: this is at a bar and they verify that everyone is 21 or over. If you’d like to be added to this list, please contact John!